Professor Finn left school aged 16 and after a period of employment entered University as a mature student. He studied for an undergraduate degree in Sociology at the University of Warwick before completing his PhD at the Centre for Contemporary Cultural Studies, University of Birmingham. 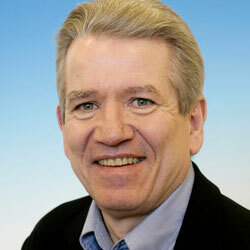 In his early career, Professor Finn was best known for his role in the analysis and assessment of youth unemployment and transitions from school to work. He then worked for independent research and pressure groups lobbying policy makers and helping shape legislation and programmes targeted at the unemployed. Subsequently at the University of Portsmouth he has designed, delivered, supervised and managed a wide range of national and comparative research projects concerning unemployment, social inclusion and employment services. Since 2010 he has undertaken a series of thematic research projects and evidence reviews, involving three of more countries, on the design and impacts of conditional benefit systems and related services and sanctions; devolution and decentralisation of employment and social welfare systems, implementing ‘one stop’ employment services; reducing long term unemployment; and the contracting out of publicly financed employment services. Professor Finn has been an adviser to UK parliamentary select committees and other British bodies, including the Department for Work and Pensions, the UK Commission for Employment and Skills and the New Deal Advisory Group. He has also undertaken research and policy development work with international agencies including the European Commission, World Bank, Inter-American Development Bank and OECD. Dan has also been a Visiting Professor at the University of Melbourne and Visiting Fellow at IFAU, University of Uppsala (Sweden), the Australian National University (Canberra) and is currently a Visiting Fellow at the Korean Labor Institute (Seoul). Professor Finn’s research interests include policy responses to youth and long term unemployment; the reform of public employment services; activation of benefit systems; implementation and devolution of welfare to work policies; and the integration of employment and skills provision. He has a particular interest in ‘contracting out’ employment services and the development of ‘welfare markets’ in the UK, USA, Australia, the Netherlands and other OECD and developing countries.